Active or passive, it's how we recharge. Relax, and leave the details to R.A.C. Riverside Adventure Company offers guidance, outfitting and expertice in your next recreation activity. Whether "recreation" for you, means catching a spectacular sunset, or paddling a new section of river or getting together with a group of friends to make that next memory that you all talk about for years: R.A.C. can help. Below are just some of our present offerings. Riverside Adventure Company offers a host of race and competition services. Whether you are looking to participate in one of our event offerings, or create your own event: R.A.C. has the experience to make your event dreams a reality. We created the River Towns Race Series over 10 years ago. It's the area's longest running, most successful amateur race series. We've also created, organized and timed many other events in the area. Our experience is unmatched in the region. R.A.C. has the gear you need to get you there, and outfit your adventure. Whether you want to bike and paddle in Vermont (as shown in the photo above) or just get to a party with a bunch of friends: we can find solutions to all your needs! Click on the button below to go to our online store and see all our rental and equipment offerings and how we can help you get your adventure rolling! Chip timing to full planning and management - R.A.C. has done it all! Whether you want to put together a local 5K or plan a multi-day sanctioned serious event - R.A.C. has 15+ years experience organizing amateur athletic events in the area. 3 steps to Book your timing - click here! Fire and Ice starts at night. Riverside Adventure Company has been timing races for years. Our clients include the races below and many others. We have the experience to get your race timed accurately with a keen eye toward both Fan and Participant experience. How can we help you produce the successful event you have always thought your group or organization or community has always needed? Event that you are considering. Somewhere that we can reach you. Use this button to download our "Client outline/Contract". It's a long, but very helpful document, that will help you get started in understanding the world of race production. It's not easy to produce a race, but it can be rewarding and profitable. See what you are getting into, and what it might cost, by downloading this Planner document and Contract. Below is our calendar of upcoming events and a sampling of trails we've designed, built and maintained. We can do it ourselves, or partner with our Associate. Elijah Evans Excavating, to provide services to all trail projects, big and small. If you ride or run: you build and maintain. This was how it started for us. 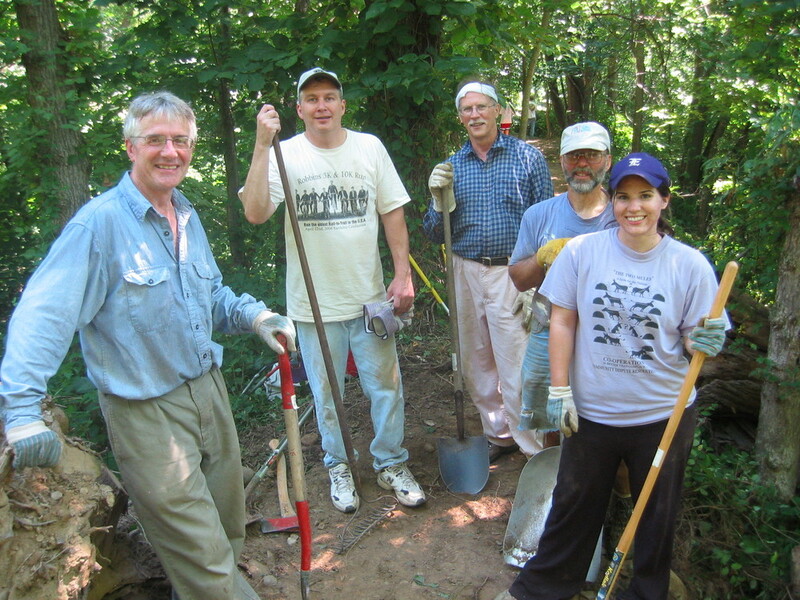 We enjoyed riding and trail running, so we joined groups and offered help with maintinance. This led to events. Events led to classes. Classes led to International Mountain Biking Association compliance and certification in regard to building sustainable (as they call them, "Funstainable") trails. 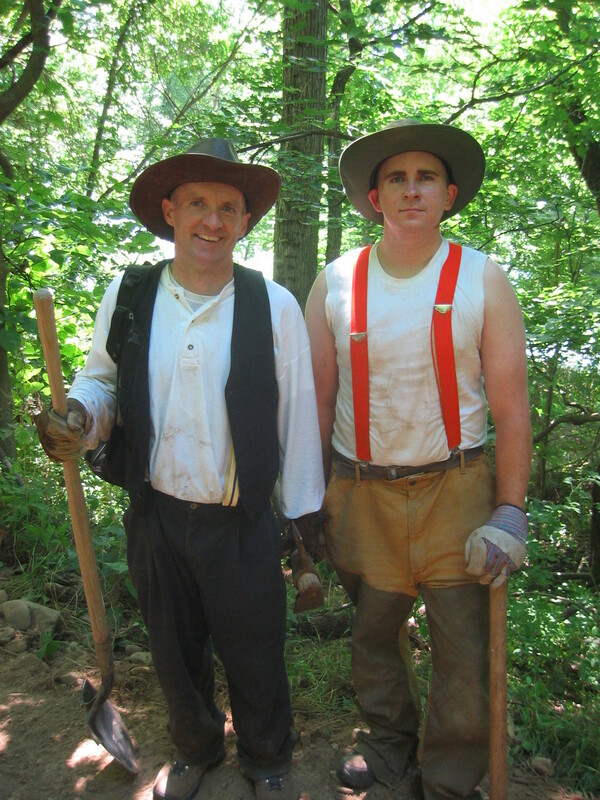 So here we are, years later and lots of miles, trips, earthmoving, and bush-whacking under out belts. The grand opening of Hopewell Park as part of the River Towns Cycling Classic 2014. The trails as they sit on 3/18/15. More work to be completed in 2015. Helped map, plan, build, maintain, promote and monetize these trails to benefit the local community: namely the Montour Area Recreation Commission and Geisinger's Children's Miracle Network. 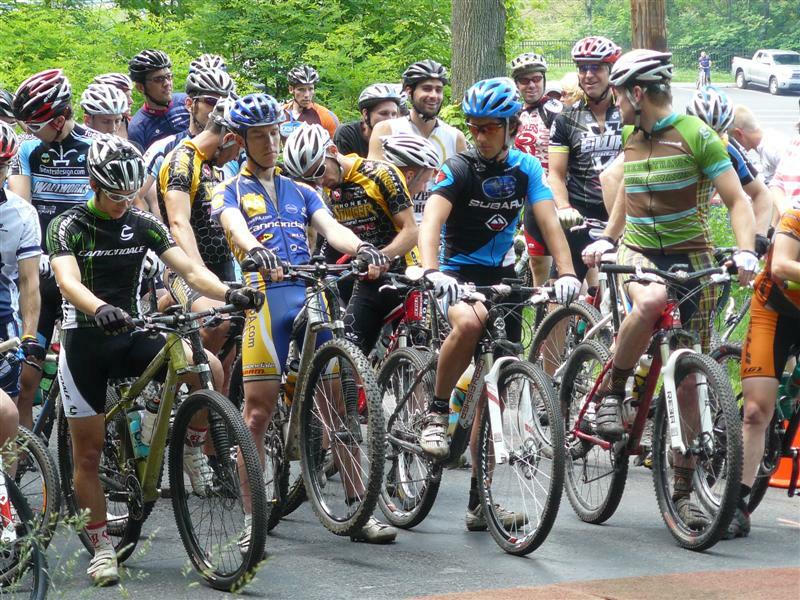 We were involved in the original Organizer Team that created the Tour de Tykes Mountain bike race. We have been involved in semi-annual IMBA inspired trail rebuilds and repairs to improve the less sustainable original offerings and replace them with more reasonable and durable options. We started this race in March 2005 as a winter trail running challenge. Even though it's cold, the hills and terrain make this course stressful. Even one of our Organizers gets into the fun! This course is no joke! Serious challenge for all skill levels. One of the many places where a rider might say, "what have I got myself into?" Those moments of consideration before the start. Anxious racers poised to launch! The race starts with nearly a mile of straight up. Looking younger and taking a break at the timer area. This project began about 14 years ago. The idea of re-establishing the old Canal Tow Path, as a trail for recreation activites. We have been involved in this trail since the beginning and are please to say that all roadblocks have been removed, surveying is complete, and municipal entities now either own all the land needed to make the trail a success, or have variances or agreements to proceed. Primary planning for the project is now in the hands of the Montour Area Recreation Commission (MARC). We intend to stay involved until completion in whatever ways are necessary. You can follow the project and learn all the details at the MARC webpage dedicated to the initiative. We wanted to reenact what canal building might have looked like originally. These are the guys that originally built the Tow Path and Canal. Thanks the sponsors, and the people that made it happen. Talking goals, the past, and the future. Each person got about 10 linear feet to clear and level. We stopped beating them long enough for them to take a break. Interpretive signage to tell the story of the trail. A bench, and some education about canal boats. These guys wer outstanding! Sweat equity ownership is a wonderful thing. We wanted to be historically correct. No power tools used that day. We cleared over a mile. The oldest purpose built rail-trail in the United States (and most likely the world) is in our backyard and we've had the pleasure of making it a very popular local attraction for people both near and far. We've been involved since the days when the Borough was forced to consider closing the park due to limited maintenance funds. The Montour Area Recreation Commission (MARC - then Montour County Recreation Authority) was tasked with finding solutions: and solutions were found. David Decoteau was the President of MCRA at that time, and later became the first Director of MARC. Become 2010 Hess Field Skate Park Organizers. Ownership is important in the skateboard community. These guys own it. The next generation of "Shredders". "When the River freezes over"
This was said in a meeting, in regard to when Danville would ever allow a skateboard park to be built. Danville brought this project in under budget and for pennies on the dollar compared to other communities. Underutilized at first, but improved and a controversial "user fee" added to maintain for the long haul. Arguablly one of the prettiest spots in the area. Hess Field and Robbins trail are two sets of trails in the park. This is the inner trail. 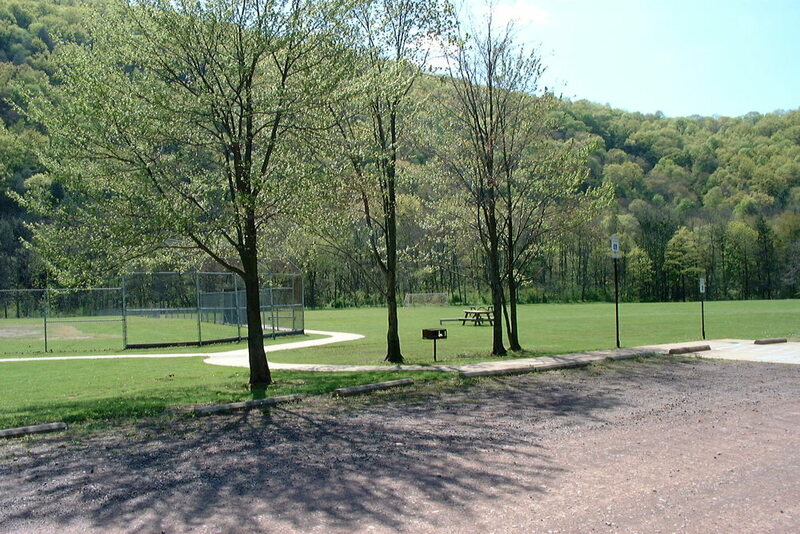 Club teams used Hess extensively, and help keep the park maintained. Picked up the tracks and invented the bike club where the Robbins trail is today. Sold to members of the bike club to pay for the work and show membership proudly. Lots of "catwalk" help make the inner trail more usable in marshy areas. Merck got us funds to rebuild the bridge. Here it is shown under construction. Final link needed to connect the trail loops. What a great project! The Robbins trail is now used heavily. Here it is shown in the Robbins run 5K & 10K. Built by our Pennsylvania Conservation Corp group. Also built by the Pennsylvania Conservation Corp as led by local Outdoorsman Brad Diehl. Hess field has a huge marsh area, with lots of wildlife. Here you can sit for hours and see water fowl and other wildlife, undisturbed. Big project, but very needed. Used extensively and made the park a great destination. We built a bicycle skills park in Hess Field, to help kids learn mountain biking. A favorite feature of the kids. A great place to safely teach kids to ride varied terrain. Different challanges, for different skill levels. I am writing to express the Borough’s sincere appreciation for and recommendation of David Decoteau’s skills in the field of recreational trail construction and maintenance. 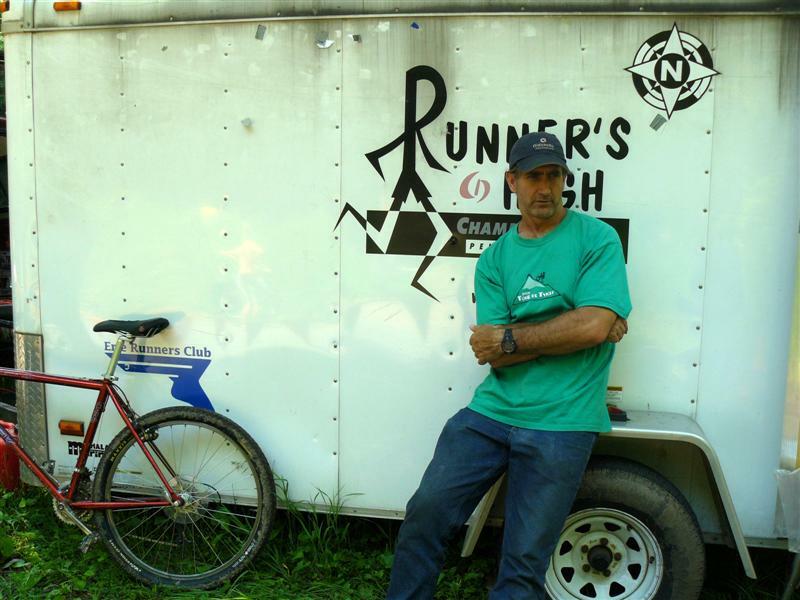 For several years, Mr. Decoteau has been intimately involved with promoting and enhancing recreational trail opportunities throughout the Borough of Danville and Montour County. Specifically, he was key in restoring the Hess Recreation Area trail network – one of the most popular in our area – to a great condition, adding the covered bridge, inner wetland trails, and new restroom facilities near the parking area. Mr. Decoteau was also an important player in working to create, promote, and repair the trail system at the Geisinger Stewardship Forest. Again applying his knowledge, leadership, and abilities, he worked with other local users to reroute many old, unsustainable, dangerous, and ecologically unsound logging roads into hiking and biking trails that were in line with the International Mountain Biking Association’s (IMBA) guidelines for design and construction. More recently, Mr. Decoteau was a primary volunteer in efforts to add a recreational trail network to Hopewell Park and the Borough’s adjacent forested lands. A cooperative effort between Montour County, the Borough of Danville, and the Montour Area Recreation Commission, the area is now home to a regionally recognized mountain biking and walking trail network, greatly enhancing a public asset while opening it up to hundreds of new users annually. Do you want this for your community? If you would like information about helping build local trails or how Riverside Adventure Company can help you with your project from design to completion, drop us a line, using the form below. Name of your project or question. As long or short as you like. More information is usually better than less.